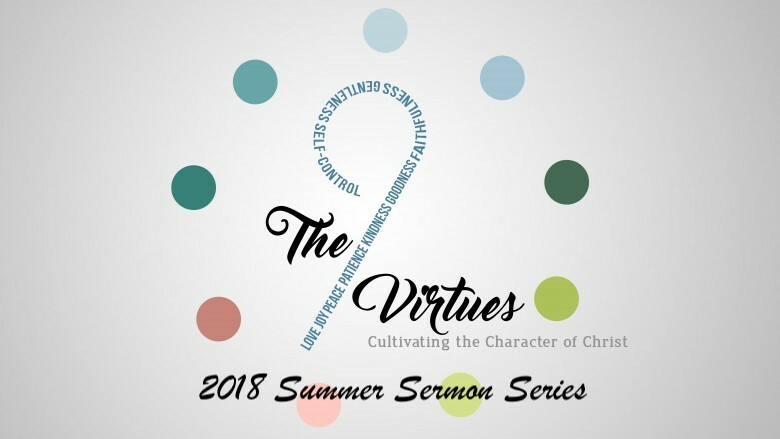 9 Fruits of the Spirit-Cultivating the Character of Christ. Last Week, we began a new sermon series out of text Galatians 5:22-23:But the fruit of the Spirit is love, joy, peace, forbearance, kindness, goodness, faithfulness, 23 gentleness and self-control. Against such things there is no law. Imagine if you will, looking for a model of what Jesus looks like in a person’s life. How does one determine that vision? These virtues are the outcome, and as the Scripture teaches, the fruits of what a spirit-filled life takes on. This is called application. The beautiful thing about these virtues are they can’t be produced apart from walking with Jesus. We can’t role-play out these virtues. The spirit of God behind these actions must be genuine or we will be found out for who we really are. Love is the crucial fruit behind all of the rest. Without love, our patience will wear thin, our joy won’t really be solid, and our faithfulness will be shallow. In Matthew 22:37-40, Jesus replied: “‘Love the Lord your God with all your heart and with all your soul and with all your mind.’ 38 This is the first and greatest commandment. 39 And the second is like it: ‘Love your neighbor as yourself.’ 40 All the Law and the Prophets hang on these two commandments.” Love of God will always be the foundation of all others virtues in our life. Will you begin to truly deepen your study of these 9 fruits? Begin with making sure first and foremost you love Jesus with all your heart. That is really hard especially when you really love your spouse, children, friends, etc. You can do that but not until God is first, then that Agape love flows out to those that are closest to us. They can see if your love is for real! Love God today! Today’s post is from Jim Denison’s cultural commentary. I can hardly wait to see this upcoming film. Hacksaw Ridge is Mel Gibson’s new film. It tells the true story of Desmond Doss, a World War II army medic who refused to bear arms but received the Medal of Honor after he saved dozens of his fellow soldiers. The movie was shown at the Venice International Film Festival last Saturday. According to USA Today, the audience gave Gibson a ten-minute standing ovation when the film ended. It was my privilege to see Hacksaw Ridge at a private showing a few days ago, then participate in a discussion with Gibson. I don’t remember ever being as moved by a movie as I was by his film. Looking back, I can identify three reasons for my response. Part of my reaction was the realism with which Gibson depicts the violence of the battle scenes. Hacksaw Ridge is a cliff-like formation on the island of Okinawa, Japan. It was the scene of a two-week struggle between US and Japanese soldiers. Gibson told our group that he depicted the war violence with such realism in order to demonstrate the atrocities Doss faced and the courage he displayed. A second reason for my visceral reaction is the fact that my father, a World War II veteran, fought with the Army in the South Pacific. He would not discuss what he experienced with our family. Like so many veterans, he could not put into words what he went through. I have visited several World War II museums and had a sense of what the Pacific theater was like, but the movie brought home my father’s suffering in a way that moved me deeply. It made me realize again the immeasurable sacrifice so many continue to make in defending our nation and our freedoms around the world. I hope you’ll see Hacksaw Ridge when it opens in theaters November 4. As I have noted, the war violence it depicts is very realistic. But the story it tells is truly one for the ages. During our group discussion, I asked Mel Gibson why he chose to make the film. He explained that Desmond Doss’s heroic faith so moved him that he felt compelled to tell his story to the world. He noted that more than 80 percent of Americans identify as Christians, yet Hollywood very seldom presents our faith in a positive light. Our culture deserves to see authentic Christianity. “How are they to believe in him of whom they have never heard?” (Romans 10:14). Desmond Doss was willing to pay any price to follow Jesus. Now it’s our turn. 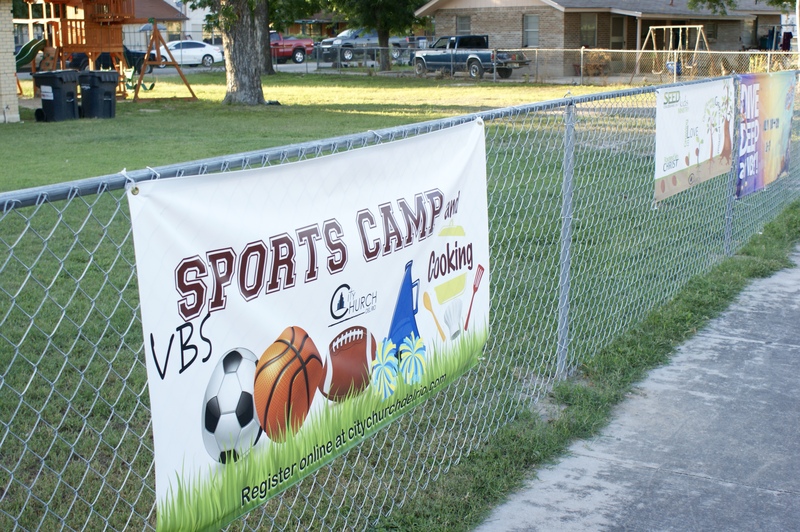 What a great week we had at our MEGA Sports Camp 2016. God allowed us to minister to more than 90 children, with an average attendance of 70 per night! I am always amazed at what God can do when we choose to serve the community. We had participation from many adults and youth as the kids learned about soccer, football, basketball, cheerleading, and cooking. The main thing was that we were able to share the Gospel of Jesus with all of them as well. That was the most significant part of the week for me. What an opportunity we have to follow up and minister to families that aren’t connect to a church or God.